Russia’s former Prime Minister and opposition leader, Mikhail Kasyanov, will run for the presidency in 2008. The People's Democratic Union made the decision to put forward Mr Kasyanov as its candidate during its forum in Moscow. Mikhail Kasyanov said his election program would focus on social problems. If elected, he promises to introduce a one-hundred-day program of improvement for Russia. “Today my organization, our party, the People's Democratic Union, just made its decision. And we believe this is the decision which is prominent and we know what to do. And we also hope to obtain support from the other democratic oriented organisations,” Mr Kasyanov said. 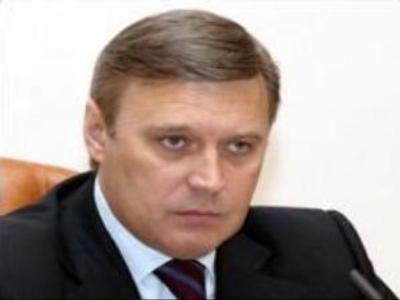 Mikhail Kasyanov has been involved in Russian politics since the early 1990s holding the office of Prime Minister from May 2000 until February 2004. After he was dismissed from the post, he became a harsh critic of the Kremlin. He is currently one of the leaders of the “Other” opposition coalition, responsible for Marches of Dissent around the country. Boris Makarenko, Deputy Director of the Centre of Political Technology in Moscow, says Mikhail Kasyanov lacks the support to make real waves in the presidential race. “Technically speaking, today’s nomination of Mr Kasyanov as presidential candidate means nothing from the legal point of view. Strictly speaking we don’t have a single presidential candidate so far with 10 months left to the elections. Mr Kasyanov as well as others [candidates] will have to collect 2 million signatures of Russian voters to be registered, and that’s the case. If we look at opinion polls, Mr Kasyanov doesn’t hav more then couple of percentage points,” Mr Makarenko says.